Where, how and why can certain characters or objects move in contemporary anglophone Māori prose fiction (novels, short stories and theatre plays)? These will be the central questions addressed in the cross-genre analysis of my dissertation project. Focusing on the continuum of mobility and immobility, I intend to reveal different forms, understandings and implications related to this conceptual pair, which includes a close examination of physical as well as social and cultural aspects. Domains of particular interest are travel and global movements, poverty and violence, rural and urban life, and disability. Drawing on diverse academic fields such as indigenous theories, mobility studies, social sciences and postcolonial theory, the paper is designed to fill several research gaps in the area of Māori literary studies. The analysis will be deliberately exploratory and reciprocal, allowing both primary works and academic theory to provide directional cues and fertilise one another. An overarching aim is to adopt a culturally sensitive and ethically adequate position, which allows for the inclusion of Māori concepts and terms. Indeed, such concepts will be included on a methodological, structural and analytical level. Establishing and maintaining close connections to indigenous experts from Aotearoa/New Zealand will also be of great importance for the project. 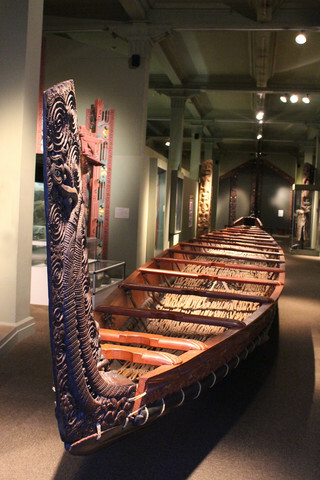 Overall, considering selected works against a larger corpus of Māori literature, the dissertation will demonstrate how the concept of (im)mobility reveals thematic and structural interweavings, culturally specific interpretations as well as the general complexity, richness and versatility of Māori literature. Leonie John completed her studies of English and Educational Sciences at the University of Cologne as well as of Physical Education at the German Sport University Cologne with top marks in June 2016. 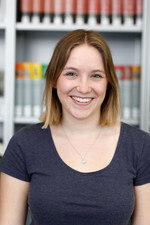 During her studies, she worked as student assistant at the chair for English Historical Linguistics (2011–2015) and also at the centre for PE teacher education (SportlehrerInnen-Ausbildungszentrum, 2014–2016). She spent a semester abroad at the University of Waikato, New Zealand in 2012. Since November 2016, she has been enrolled at the University of Cologne as a PhD student. Her supervisors are Prof. Dr. Heinz Antor (University of Cologne), Prof. Dr. Beate Neumeier (University of Cologne) and Prof. Dr. Guido Rings (Anglia Ruskin University). After having been introduced to the a.r.t.e.s. Graduate School for the Humanities Cologne via the Research Master, she was initially promoted in her doctoral studies by a half-year scholarship (Stipendium zur Promotionsvorbereitung) and is currently a scholarship holder for a period of three years. Her research interests include Māori literature, postcolonial and indigenous theories, memory studies and mobility studies. “Travelling Māori – Negating Stereotypes of Static Indigeneity”, 11 October 2018, GAPS Postgraduate Forum “Postcolonial Narrations: Moving Centers & Travelling Cultures”, Goethe-Universität Frankfurt am Main (Germany). “The Negotiation of (Im)Mobility in Anglophone Māori Short Stories”, 07 June 2018, Forschungskolloquium “NELK Research Colloquium” with Prof. Dr. Frank Schulze-Engler, Goethe-Universität Frankfurt am Main (Germany). “‘Didn’t we get rid of him?’: Negotiating the memory of James Cook in contemporary Māori literature”, 14 December 2017, “Second Annual Conference of the Memory Studies Association”, København (Denmark). “‘i am the dreams of your tipuna’: Constructing Pacific memory in contemporary Māori literature”, 1 December 2017, “Oceanic Memory: Islands, Ecologies, Peoples”, Christchurch (Aotearoa/New Zealand). “‘I came to this country […] needing to piece myself together’: Genealogy and Memory in Patricia Grace’s Chappy”, 7 October 2017, “Postcolonial Narrations: Memory and Media”, Erfurt (Germany). “Experiencing Moments of Contact in Witi Ihimaera’s ‘The Thrill of Falling’”, 14 July 2017, “Literaturkontakte – Texte • Kulturen • Märkte”, Freiburg im Breisgau (Germany). ‘i am the dreams of your tipuna’: Constructing Oceanic memory in contemporary anglophone Māori literature, in: Pacific Dynamics 2,2, 2018, pp. 146–160. Becoming Tupaea: Interweaving Moments of Contact in Witi Ihimaera’s ‘The Thrill of Falling’, in: Isabell Oberle / Dorine Schellens / Michaela Frey / Clara Braune / Diana Römer (Hg. ): Literaturkontakte: Kulturen – Medien – Märkte, Berlin: Frank & Timme 2018, pp. 77–95. Proseminar “Contemporary Indigenous New Zealand Fiction”, Englisches Seminar I, Universität zu Köln. "Als ehemalige Research Master Studentin und „Predoc“ bin ich mit a.r.t.e.s. sozusagen groß geworden. Ich schätze diese kontinuierliche Begleitung ebenso wie die fachübergreifenden Anregungen und Herausforderungen sehr."